Steel Lockers New York City. Ready to ship. Stocked locally, Complimentary Layouts, Lowest Cost. Lifetime Warranty. New York City’s Largest Stocking Master Distributor, Ideal for Employees, Education, Medical, Law Enforcement, Retail, Hotels and Restaurants. Lockers come in several types as shown above. 1 Tier Lockers are the most preferred choice. 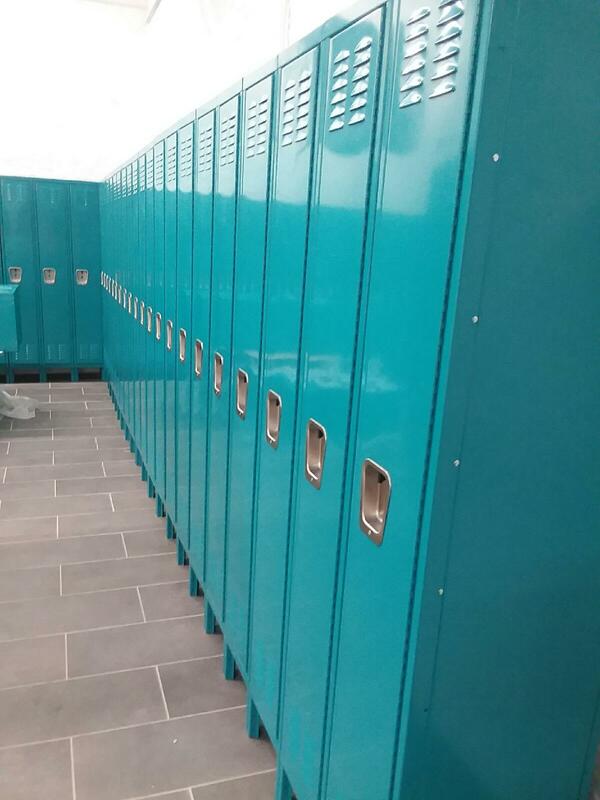 Available space and the number of lockers in most cases dictates the type locker to select. 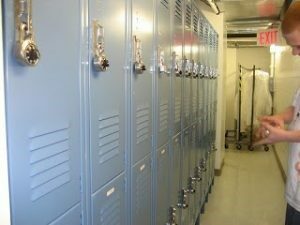 2 tier lockers can double the amount of lockers in the same space as single tier and can hold half coats, back packs, clothing, shoes, etc. 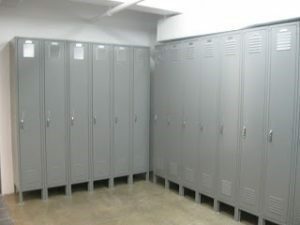 6 tier lockers are widely used when space is very tight. Ideal for backpacks, laptops, folded clothes. steel two tier lockers stocked in Manhattan. Closed in legs bases also available. Locker Locks. LockersUSA stocks padlocks, combination padlocks and built in padlocks. Combination padlocks can be delivered with master keys and control charts. The control charts detail the locker number, users name and combination number. Also listed on the control chart is 4 additional combinations that can be used after someone leaves. when all combinations numbers have been used the combo can be reset to the first combo series. Steel Lockers installed on W 23rd St with combo padlocks. 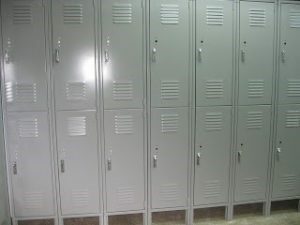 Lockers can be delivered with flat tops or sloping hood, Closed in legs or bases, End finishing panels and ask about our large inventory of ADA Lockers and Locker Room Benches. Steel Lockers New York City provides complimentary Locker Room Layouts daily to NYC, Brooklyn, Queens, Bronx, Staten Island, Harlem, Bronx, Yonkers, Westchester and Long Island.